“And that every tongue should confess that Jesus Christ is Lord, to the glory of God the Father” (Phil. 2:8-11). “Far above all principality, and power, and might, and dominion, and every name that is named, not only in this world, but also in that which is to come” (Eph. 1:19-21). “Wherefore henceforth know we no man after the flesh: yea, though we have known Christ after the flesh, yet now henceforth know we Him no more” (II Cor. 5:16). Are we a bit negative about Christmas? Perhaps. However, let’s see what God has to say about this subject in His Word. Leaving aside technicalities, there is surely something wrong, basically wrong, about the world’s—yes, and the Christian world’s—celebration of the birth of Christ. There is no indication anywhere in Scripture that a celebration should be held in remembrance of our Lord’s birth—as there is with regard to our Lord’s death (I Cor. 11:23-26). There is no evidence that any of the apostles observed such a celebration or taught their followers to observe it. This, we concede, does not mean that we may not celebrate this glorious event, but certainly the Word, rightly divided, leads us to a higher plane. When our Lord’s “birthday” arrives, we see on every hand likenesses of the babe in the manger, or the babe in His mother’s arms. This is sweet and touching indeed, for who does not love a little babe, especially in the arms of a young mother? Ah, but even apart from the Scriptures, it should occur to every thoughtful person that this is not the way to celebrate one’s birthday. If I should be given a book in celebration of the birthday of Abraham Lincoln, I would not expect to find the book filled with pictures of a babe, or to read anecdotes about the joy that attended his birth. I should expect to read of his kindness and courage; of the great obstacles he overcame in trying to hold the Union together. I should expect to read about how, in this great endeavor, he paid the greatest of all prices—his life, as he was slain by an assassin. In the photographs shown I should want to see those sad eyes, those stooped shoulders, and that wrinkled face. And I believe that this would be so with every one of my readers. What trick of Satan is this, so to de-emphasize, so to minimize, the present glory of our Lord and Savior Jesus Christ! Why is it that in so many churches throughout Christendom our Lord, on that day, is depicted as a baby, with manger scenes set up on platforms, and some aspect of the “Christmas story” told? Should we not rather be proclaiming how He went to Calvary for us and blotted out “the handwriting of ordinances that was against us, which was contrary to us, and took it out of the way, nailing it to His Cross” (Col. 2:14)? Should we not be proclaiming to all how He defeated Satan and his hosts, and “made a show of them openly, triumphing over them in it [i.e., in the Cross]” (Col. 2:15)? And should we not make it a special point to show that He has now “passed into the heavens” (Heb. 4:14), and “entered… into the Holy Place,” the very presence of God, “having obtained eternal redemption for us” (Heb. 9:12). And should we not be revelling in the fact that the simplest believer may now be “justified freely by [God’s] grace, through the redemption that is in Christ Jesus” (Rom. 3:24), that our blessed Lord is now at God’s right hand as the Great Dispenser of grace to a lost and doomed world? But as it is, what event in our Lord’s life and ministry genders the most excitement and prompts the greatest celebration of the whole year? Not His accomplishments, but His birth—and this is a pity. “This is a faithful saying, and worthy of all acceptation, that Christ Jesus came into the world to save sinners…” (I Tim. 1:15). And in this very connection one of the great exploits of our Lord is again emphasized. He came into the world to save sinners—even the chief of sinners, Saul of Tarsus (I Tim. 1:15), who had made havoc of the Church, and had breathed “threatenings and slaughter” against all who believed in Christ and loved Him. Indeed, it is the very uniqueness of our Lord’s birth, the very fact that here was “Immanuel,” i.e., “God with us,” that should hinder us from worshipping Him as a mere babe in a manger. 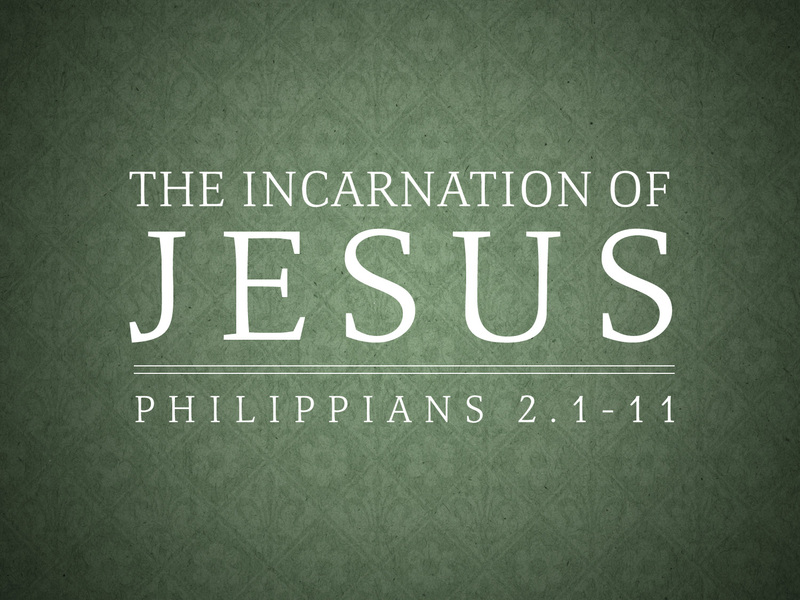 The truth of the incarnation involves far more than the birth of Christ. All this brings us back again to II Corinthians 5:16. It was not long after the Incarnation, the Crucifixion, the Resurrection, and the Ascension of our Lord Jesus Christ that the world was given a glowing example of what was accomplished at Calvary. “This is that which was spoken by the prophet Joel….in the last days saith God” (Acts 2:16,17). What then had been predicted by the prophet Joel? Two things, basically: that God’s Spirit would be poured out upon His own (Acts 2:17,18), and that God’s wrath would be poured out upon His enemies (Vers. 19,20). As we know, the Holy Spirit was poured out, but not the judgment. When all was ready for the pouring out of the bowls of God’s wrath, God, who is “slow to anger, and plenteous in mercy,” interrupted the prophetic program to save His chief enemy on earth, the leader of the rebellion against God and His Christ: Saul of Tarsus. “God hath concluded them all in unbelief, THAT HE MIGHT HAVE MERCY UPON ALL” (Rom. 11:32). “For there is no difference between the Jew and the Greek: for the same Lord over all is rich unto all that call upon Him. “For whosoever shall call upon the name of the Lord shall be saved” (Rom. 10:12,13). “For He [Christ] is our peace, who hath made both one, and hath broken down the middle wall of partition between us. “…that He might reconcile both unto God in one Body by the Cross, having slain the enmity thereby” (Eph. 2:14-16). “He that sitteth in the heavens shall laugh: the Lord shall have them in derision. “That as sin hath reigned unto death, even so might grace reign” (Rom. 5:20,21). Now the Law has given way to grace, and prophecy to the mystery which was “kept secret since the world began, but now is made manifest…” (Rom. 16:25,26). As we have pointed out, not only are we now no longer to know men after the flesh, we are not to know Christ after the flesh (II Cor. 5:16). God is not now establishing His kingdom upon earth; He is forming the Body of Christ, with a position and prospect in the heavenlies. “Therefore if any man be in Christ, he is [or “there is”] a new creation; old things are passed away, behold, all things are become new” (Ver. 17). “All things are of God, who hath reconciled us to Himself by Jesus Christ, and hath given to us the ministry of reconciliation” (Ver. 18). “To wit, that God was in Christ, reconciling the world unto Himself, not imputing their trespasses unto them; and hath committed unto us the word of reconciliation” (Ver. 19). Through the death of Christ, God has now assumed the role of a Savior (I Tim. 1:1; Titus 1:2,3), and the door of grace has been flung open wide for all to enter by faith. “For…when we were enemies, we were reconciled to God by the death of His Son” (Rom. 5:10). He does not ask anything from man. Rather, in infinite grace, He considers the death of His Son as the payment for man’s sins, so that as far as He is concerned, the world has been reconciled to Him. “God was in Christ [i.e., at Calvary], reconciling the world unto Himself, not imputing their trespasses unto them; and hath committed unto us the word of reconciliation” (Ver. 19). How amazing that we can go to the vilest sinner, in the name of our glorified Lord, and tell him that the amnesty has been proclaimed, that God is not, for the time being, imputing man’s trespasses against him, but that he may be reconciled to God and to Christ by grace through faith. “For He hath made Him to be sin for us, who knew no sin; that we might be made the righteousness of God in Him” (Vers. 20,21). Thus, while we do indeed rejoice that our Lord was born, a tiny babe, into the human race to become one of us, we know Him as the God-man exalted “far above all,” as the great Dispenser of grace. Psalm 2:1-3 aptly describes man’s declaration of war against God. But God did not make a counter-declaration. Instead, He left Paul, and leaves us, surrounded by His enemies, so that we may bring to them the message of grace and reconciliation. What a commission! How much greater than the commission given to the eleven!